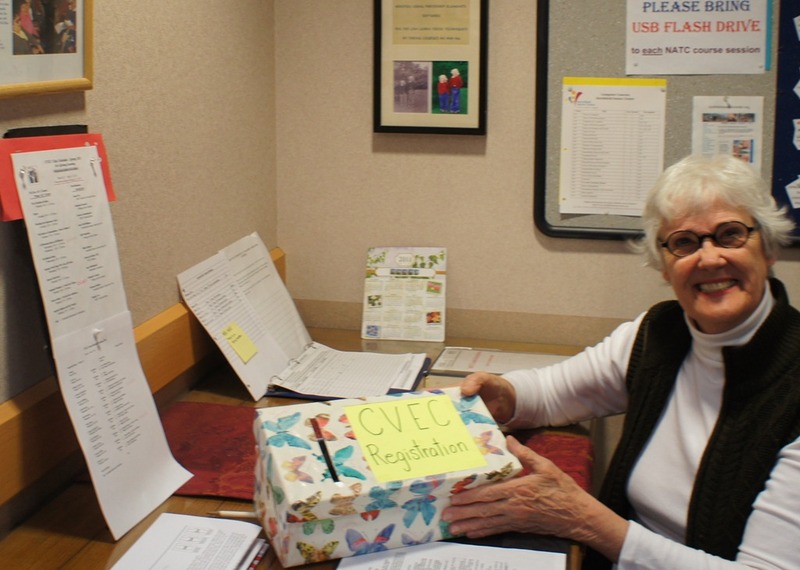 A Cannon Valley Elder Collegium (CVEC) volunteer (name?) was on registration duty at the Northfield Senior Center on Tuesday when I dropped off a check for the classes that Robbie and I are taking this spring. See the course descriptions and schedule in the PDF of the CVEC spring 2011 newsletter or view it in a variety of ways below. But don’t delay. Some courses are already full.